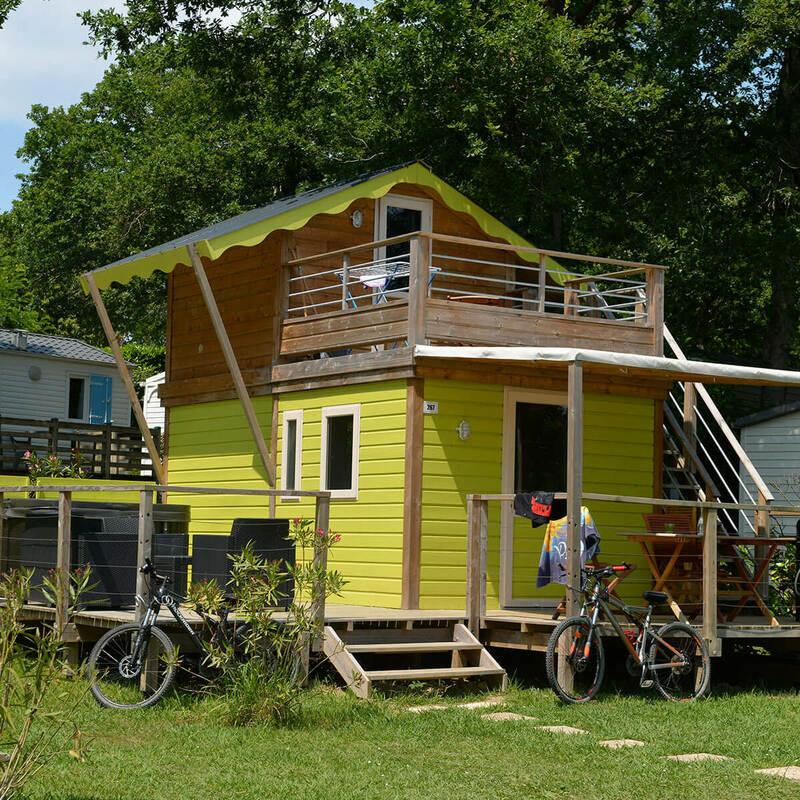 New 2019 : Cottage Privilège Spa 2 Ch. Campsite open from 12/04/19 to 22/09/19. Three check-in days from 06/07/19 to 31/08/19: Wednesdays, Saturdays and Sundays. Minimum stay of 7 nights. Outside these dates, you can check-in on any day. We do not accept stays of less than 2 nights. 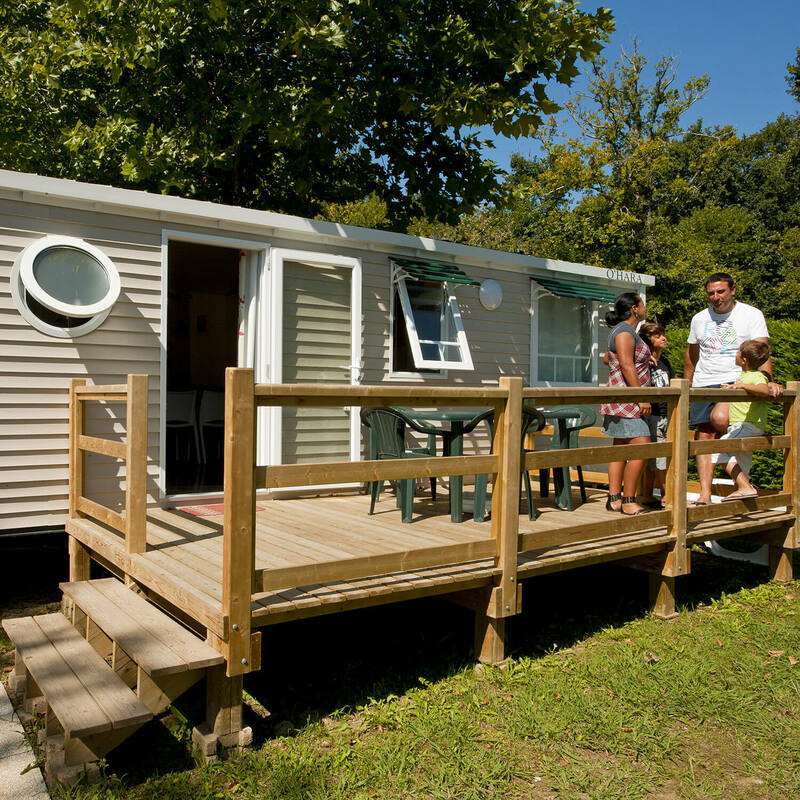 Accommodation accessible for people with disabilities available. Prices include VAT; water/gas/electricity usage and free use of on-site facilities (note some activities incur an extra charge). 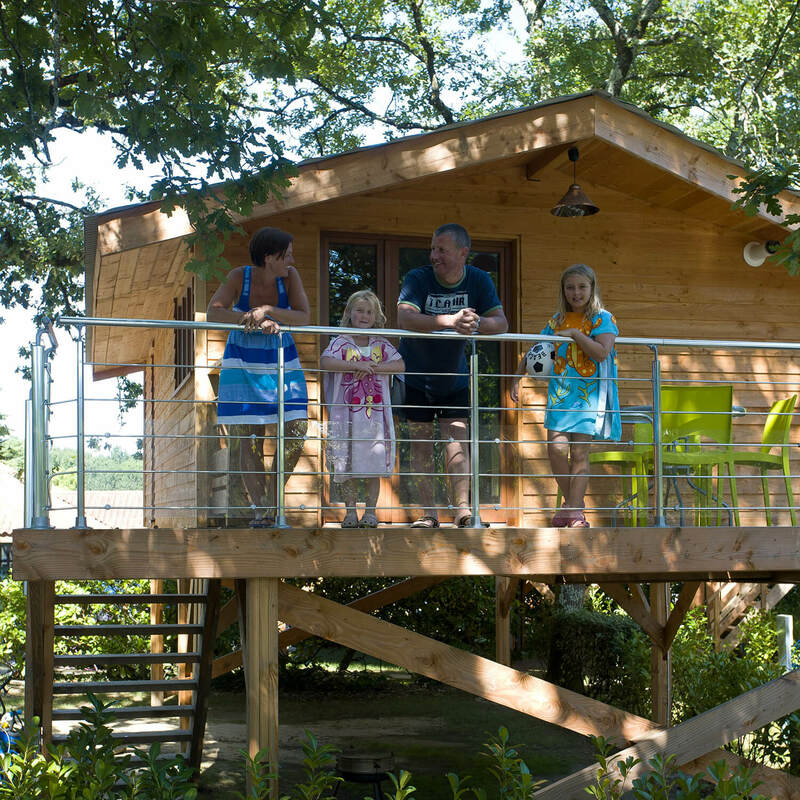 Booking fee of €20 for stays from 06/07/19 to 31/08/19. Additional holiday tax: €0.66 per adult per day. Booking will not be confirmed until we have received a deposit of 25% of the total cost of your stay. All balances must be paid no later than one month before check-in. A security deposit of €160 for mobile homes and €80 for cleaning (cheque or card) must be paid at check-in and will be returned at the end of your stay after an inspection. Check-ins from 4 pm and check-outs by 10 am. We offer cancellation insurance at a cost of €15 per week which we recommend. Ask for more information from our receptionists. Accommodation comes with dinnerware, cutlery, pillows and garden furniture. Only sheets and pillowcases are not provided.